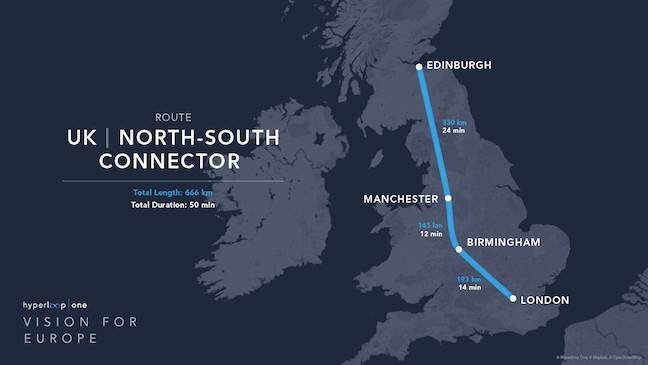 Hyperloop One, the company trying to commercialise the train-in-a-vacuum-tube tech proposed by Elon Musk, has unveiled its proposed European routes. Hyperloop One is playing the “you rock much harder than Shelbyville” game by declaring that Europe would be a great spot for the first Hyperloops. The company has, to date, built a short test tube and not much else, leaving it years away from building anything, no matter the submarine tunnels that would be needed for the Corsica, Morocco or Finland routes. And this kind of thing takes time: your correspondent first read about the idea that became the Crossrail project when living in London … in 1999. It's expected to open in late 2018, and that's with pretty conventional trains, signalling and so on, not the mostly-untested kit proposed for Hyperloop.